A planning application has been submitted to City of York Council for the redevelopment of the Hudson House site on Toft Green. This follows extensive consultation about the plans that will see the 1960’s brutalist building knocked down and transformed into four new buildings and a landscaped route through that will connect the railway station to Toft Green and Micklegate. Included in the proposals is Grade-A new office space totalling 35,000 sq ft net that will be built speculatively and is expected to attract new occupiers and investment into York. It will be first office space of its kind for many years. 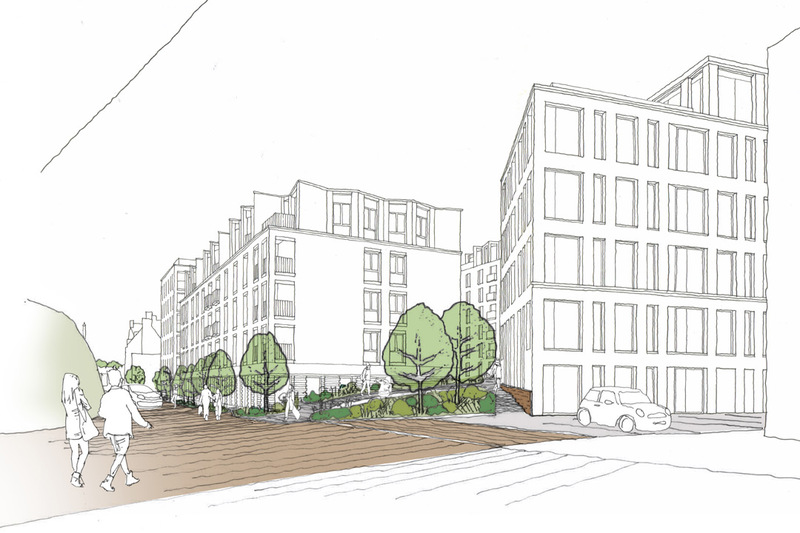 Also included are 130 apartments, commercial space and the new route through the site. Leading Leeds-based architects Fuse Studios has designed the buildings. Hudson House currently has just over 100,000 sq ft of offices but is now only circa 30 per cent occupied as tenants vacate the building as reasonable term leases cannot now be offered, pending the outcome of the planning application and the fact that the building is not up to modern standards. Hudson House currently has planning permission to convert the building into apartments but redevelopment is the preferred option for Palace Capital plc.